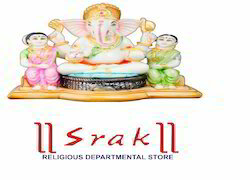 Prominent & Leading Wholesale Trader from Varanasi, we offer dust marble ridhi sidhi ganesh statue, marble krishna ji statues, synthetic saraswati murti, multi marble ganpati and laxmi ji statue, blue bal kanhaiya eating makhan and kuber maharaj with treasure. Leveraging to our vast experience in this domain, we are able to present a beautiful array of Dust Marble Ridhi Sidhi Ganesh Statue. 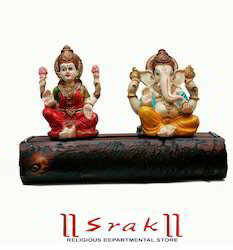 The offered ganesh is crafted using the best quality raw material and sophisticated methodology at vendors’ end. Provided ganesh is strictly tested on various stages while designing by our skilled craftsman in accordance to the set industry standards. 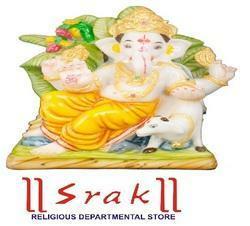 Clients can avail this ganesh from us in various designs and specifications as per their needs. 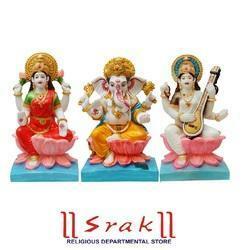 We are the prominent wholesaler and supplier of quality assured Marble Krishna Ji Statues. 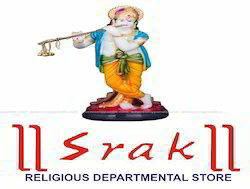 The offered statue is procured from the certified vendors’ of the market in line with industry norms. Our provided statue is tested against various quality parameters by our experts assuring its quality range to our clients. 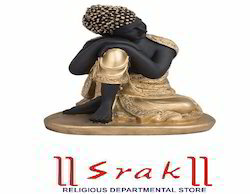 The entire collection of statue is highly appreciated in the market for its various quality attributes. Our patrons can avail these products from us at reasonable prices. we make sure that these products are delivered to our patrons within the given period. In order to carve noticeable position in the industry, we are offering a stylish range of Blue Bal Kanhaiya Eating Makhan . These are made at our vendors manufacturing unit by well-informed designers and craftsmen under the direction of industry professionals, these offered products are highly praised for their precise designing and superior finish. Moreover, our products are very light in weight and offered at small prices. We offer to our clientele a broad collection of Kuber Maharaj With Treasure. The entire collection of product offered by us is made in agreement with the industry set norms and norms. Being a quality centric organization, we check and recheck our products in order to ensure that they are of finest quality and durable nature. Offered by us at pocket friendly prices, these products are highly popular among our clientele. 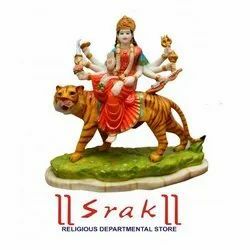 Our vendors make Marble Dust Kamdhenu Cowstatue in diverse designs and sizes. To keep the top quality, this product is made with the optimum quality raw material and techniques. Due to unique pattern and gorgeous design, our products are highly esteemed in market. Moreover, our products can be modified according clients necessities. In order to carve noticeable position in the industry, we are offering a stylish range of Multi Marble Dreaming Buddha In Golden Shawl. These are made at our vendors manufacturing unit by well-informed designers and craftsmen under the direction of industry professionals, these offered products are highly praised for their precise designing and superior finish. Moreover, our products are very light in weight and offered at small prices. 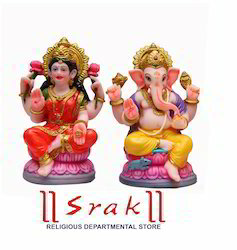 In order to carve noticeable position in the industry, we are offering a stylish range of Lakshmi Ganesh Murti.- These are made at our vendors manufacturing unit by well-informed designers and craftsmen under the direction of industry professionals, these offered products are highly praised for their precise designing and superior finish. Moreover, our products are very light in weight and offered at small prices. We are the prominent wholesaler and supplier of quality assured. 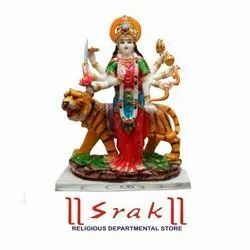 The offered statue Lakshmi Ganesh Murti is procured from the certified vendors’ of the market in line with industry norms. Our provided statue is tested against various quality parameters by our experts assuring its quality range to our clients. 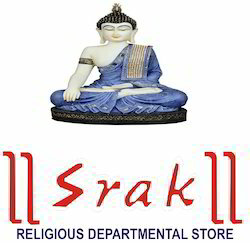 The entire collection of statue is highly appreciated in the market for its various quality attributes. 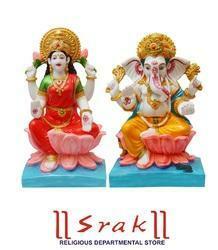 Our vendors make Ganesh Murti in diverse designs and sizes. To keep the top quality, this product is made with the optimum quality raw material and techniques. Due to unique pattern and gorgeous design, our products are highly esteemed in market. Moreover, our products can be modified according clients necessities. 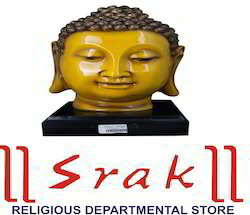 Our organization is engaged in offering a quality assured range of Marble Buddha Face Statue for the market. These products are manufactured under the leadership of skilled craftsmen who have rich experience of this domain. Our offered products are widely appreciated in the market due to their excellent quality. 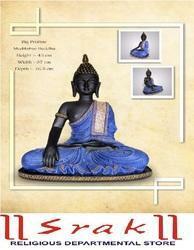 Our vendors make Marble Buddha Statue in diverse designs and sizes. To keep the top quality, this product is made with the optimum quality raw material and techniques. Due to unique pattern and gorgeous design, our products are highly esteemed in market. Moreover, our products can be modified according clients necessities. Material is Designer Resin with Color Accents and metallic finish having intricate details three-dimensional, high quality craftsmanship. 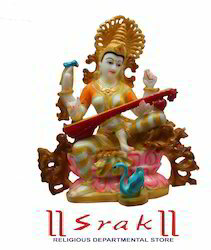 This Shiv ji is Sitting Idol is designed specially for your pooja place in your home. 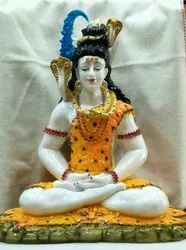 By looking at this Statue you will accumulate all the positive energy and strength generated from the eternal blessings. 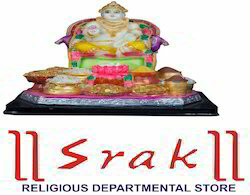 In order to carve noticeable position in the industry, we are offering a stylish range of Synthetic Lakshmi Ganesh and Saraswati Murti - These are made at our vendors manufacturing unit by well-informed designers and craftsmen under the direction of industry professionals, these offered products are highly praised for their precise designing and superior finish. Moreover, our products are very light in weight and offered at small prices. 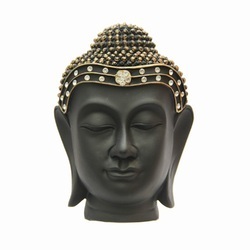 Our vendors make Yellow Buddha Head in diverse designs and sizes. To keep the top quality, this product is made with the optimum quality raw material and techniques. Due to unique pattern and gorgeous design, our products are highly esteemed in market. Moreover, our products can be modified according clients necessities. 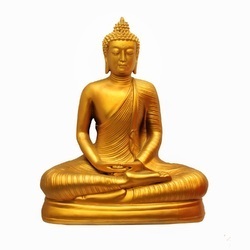 We put forward a broad range of quality assured assortments of Golden Buddha Statues. 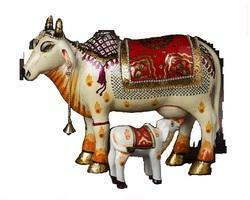 The offered statues are available in golden finish and beautiful looking design. They are obtained by our experienced vendors of the industry. They are sleek in design and available in many sizes too. The cost of this statue is also very nominal. 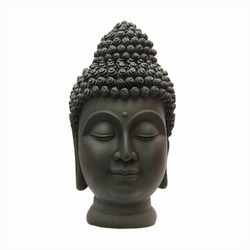 Our vendors make Buddha Head In Hand Statue in diverse designs and sizes. To keep the top quality, this product is made with the optimum quality raw material and techniques. Due to unique pattern and gorgeous design, our products are highly esteemed in market. Moreover, our products can be modified according clients necessities. In order to carve noticeable position in the industry, we are offering a stylish range of Tirupati Balaji with Golden Yellow Pillars Idol. These are made at our vendors manufacturing unit by well-informed designers and craftsmen under the direction of industry professionals, these offered products are highly praised for their precise designing and superior finish. Moreover, our products are very light in weight and offered at small prices. In order to carve noticeable position in the industry, we are offering a stylish range of Shiv Parvati With Ganesh JiOn Brown Rock. These are made at our vendors manufacturing unit by well-informed designers and craftsmen under the direction of industry professionals, these offered products are highly praised for their precise designing and superior finish. Moreover, our products are very light in weight and offered at small prices. We put forward a broad range of quality assured assortments of Santa Claus. 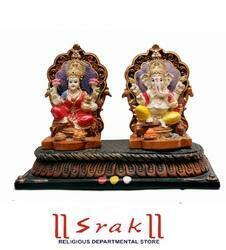 The offered statues are available in golden finish and beautiful looking design. They are obtained by our experienced vendors of the industry. They are sleek in design and available in many sizes too. The cost of this statue is also very nominal. An exquisite porcelain statue for those with devotion to the Sacred Heart of Jesus, this beautiful design will add an inspirational tone to any space. Rich coloring lends a classic look that anyone will appreciate. An inspiring reminder of Christ's heart of flesh and His love for us. 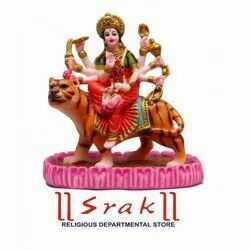 Durga is the principal form of Goddess and also known as Devi & Shakti. Durga is the root cause of creation, preservation & annihilation. This Poly-resin DURGA Statue idol is exquisitely hand-crafted in India by master artists and embellished with leafing Goldwork which does not blacken over time. This statue is washable owing to glossy finish. For this we use Imported Lacquer to give high abrasion resistance which gives a protective coating to the paint. It is suitable for worshipping or home decoration as well as for various gifting occasions like Birthday Gift, Wedding Gift, Anniversary Gift, Engagement Gift, Baby Shower Gift, Hindu God Gift, Diwali Gift, Teachers Gift, Thank you Gift, Business Gift, Mother’s day Gift, Father’s Day Gift, New Year Gift, Promotion Gift, Retirement Gift, Wedding Gift, Valentine Gift, Farewell Gift, Graduation Gift. 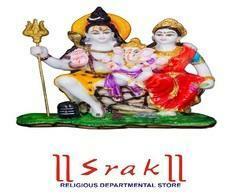 For the diverse requirements of our clients we are involved in offering a wide assortment of Stone Shiva Statue. Our entire product range is manufactured under the strict guidelines of our professionals to render maximum client satisfaction. Give to your home the feel of serenity with this brass sculpture of Lord Shiva, a god in Hinduism. Lord Shiva according to Hindu mythology is known to bestow energy to his believers and worshippers. Shiva is responsible for change both in the form of death and destruction and in the positive sense of destroying the ego. 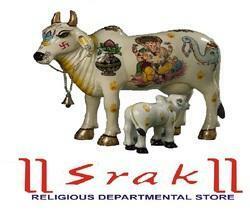 Install this statue at your home temple for performing Puja and Upasana in the Hindu way. Place the statue at vantage points at home or office to draw inner strength. 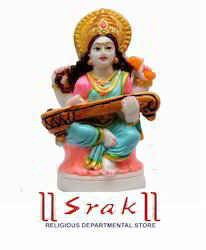 This religious idol is a work of art and helps enhance your home décor too. This item for christmas day use to celebrate festival.